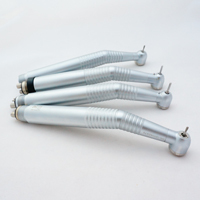 Dental high-speed handpieces can vary by design shape and construction material but will all run at 250,000 to 400,000 rpms. 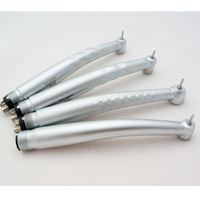 Features such as attachment type, head size, light source, handpiece weight and motor noise further distinguish high-speed handpieces. 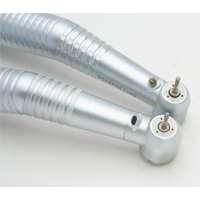 Be sure whichever dental high-speed handpiece chosen employs high quality bearings, as that will ensure longevity of your high-speed handpiece. 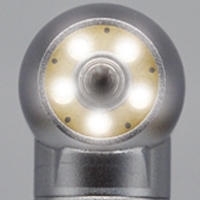 Price points for high-speed handpieces can vary greatly, with higher prices on handpieces offering features such as fiber optic lights, titanium bodies and ceramic bearing. 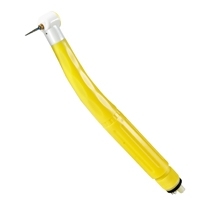 Whether you choose a top-of-the-line high-speed handpiece or a good-quality no frills high-speed hand piece, make sure the handpiece you choose is covered by an adequate warranty.